One day a friend told me that he wanted to get his first tattoo to remind him of Portland, Oregon – the city he’d visited many times and fell in love with. As weird as it may sound, the famous kitsch pattern on the carpet at the PDX airport is what he wanted forever inked on his arm. True story. You don’t need to be a bookworm to appreciate a good book. I guarantee you’ll find a tome you’ll love at Powell’s City of Books. The largest independent new and used bookstore in the world, this place covers an entire city block, and is so massive maps are provided for visitors to find their way around. There are nine colour-coded rooms that house more than one million books. The cookbook section alone is every food lover’s dream. 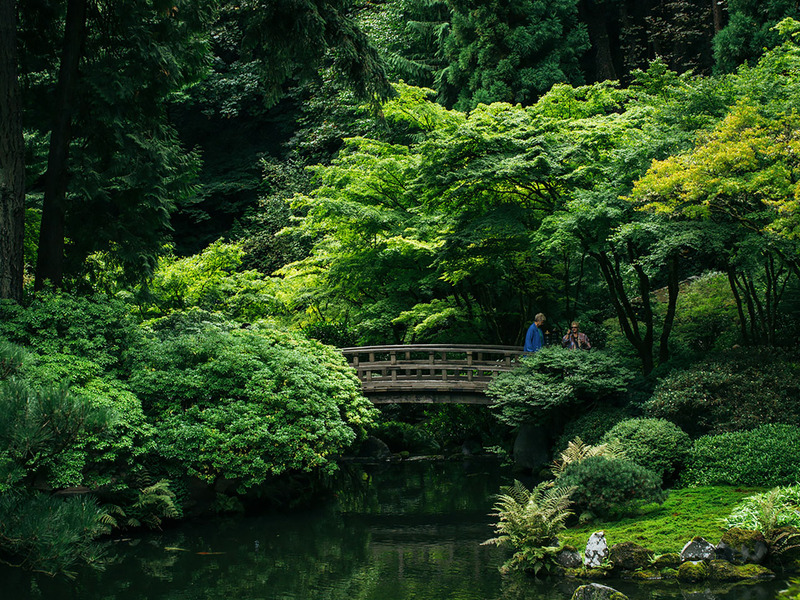 Portland is often awarded “Greenest City in America”, and you’ll understand why when you take a walk or hike at Forest Park on the west side of the city. Just a short 10 minutes drive from downtown, this urban forest stretches over 13km along hillsides overlooking Willamette River. There are many trails you can explore, expect to forget you’re still in the middle of the city. If hiking is not your thing, then you might like to slow down the pace and smell the roses at the International Rose Test Garden. Local government established the garden during World War I in an attempt to preserve species of European roses that may have been decimated by the bombings. The best time to visit is during June blooming season, where you can wander amongst the colourful roses and feel like Alice in Wonderland. Next to the Rose Test Garden is the tranquil Portland Japanese Garden which is well worth a visit too (admission fee applies). Take the Portland Aerial Tram to Marquam Hill for panoramic views of downtown Portland. The Tram is part of Portland’s public transportation system, designed to move thousands of commuters each day between South Waterfront and Marquam Hill, where you’ll find Oregon Health & Science University (OHSU). The tram operates load-n-go, departs every six minutes and only takes four minutes to reach the top. Order a coffee at the cafe and stay for as long as you like at the viewing deck; you might even be fortunate enough to see Mount Hood and Mount St Helens on a clear day. For shopaholics, Portland has everything you’d expect, from all the major brands to uniquely made-in-Portland goods. And the best part, they’re all tax free. Downtown Portland is the major shopping hub, with a wide range of big brand stores including the Nike flagship store where you can design your own sport shoes on the spot, ready for pick up in a few days. West End is a true haute hot spot of fashion boutiques featuring international and homegrown designers including Poler, Tanner Goods and Danner Boots. 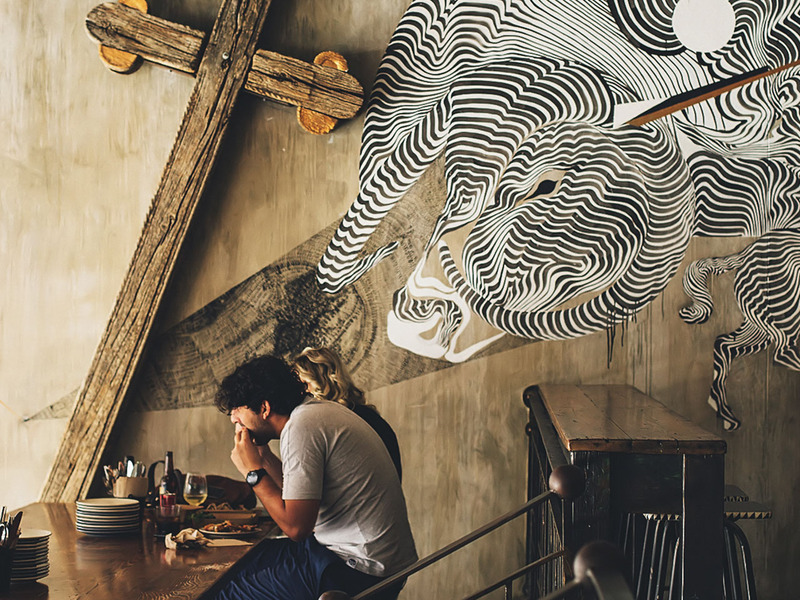 There are cafes and restaurants dotted around the neighbourhood so grab a bite and rest those weary feet from shopping. There are farmers markets happening all year round in Portland. 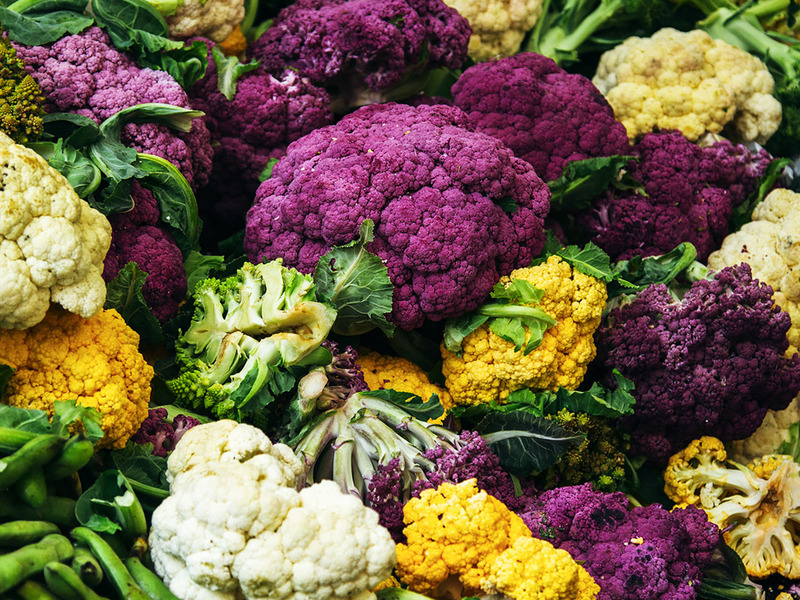 The flagship farmers market at Portland State University has over 140 stalls and attracts more than 20,000 visitors each Saturday during peak season. Pick up fresh produce, artisan goods and gourmet food, all of which is sourced within a 100 miles radius. If you’re looking for souvenirs, then you simply can’t miss Portland Saturday Market, the largest outdoor arts and craft market in the city. It’s a marketplace for local small businesses creating handmade arts, crafts and foods from the Pacific Northwest, all proudly made in Portland. Bubble Bobble, Tron, Donkey Kong, Mortal Kombat; if you know what I’m referring to then you’ll love Ground Kontrol Classic Arcade near Old Town Chinatown. For a few quarters, you can easily spend a whole afternoon reliving your childhood on the pinball machines. Make sure you check out the coolest Pacman-themed restrooms you’ll ever see! 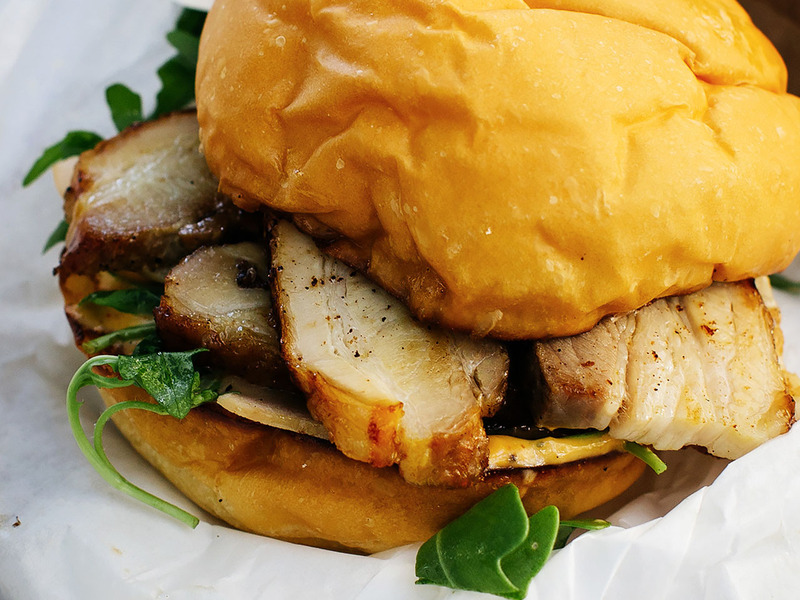 You’ll never go hungry in Portland, with food on every street corner, literally. 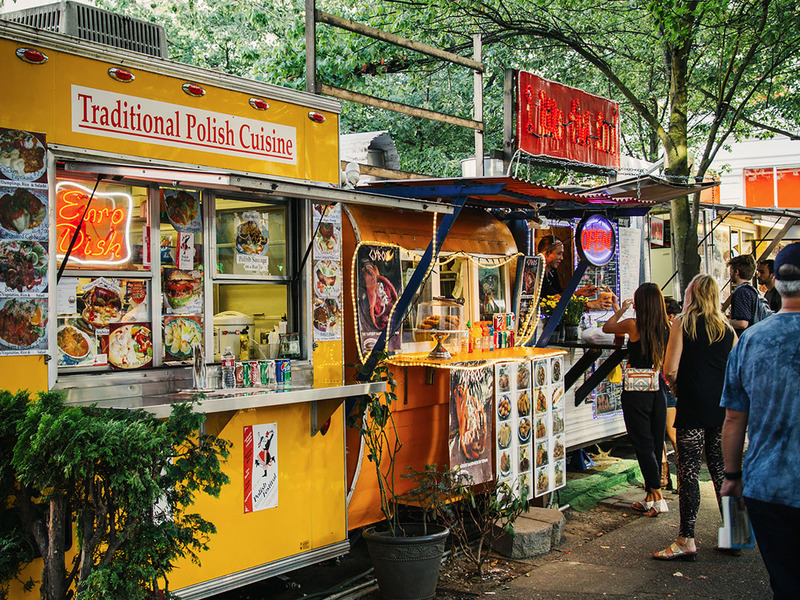 Portland is the mecca of food carts with a whopping six hundreds of them and counting. Most carts are grouped in “pods” all around town, making it easy to sample several carts at a time. If you don’t know where to start, join the Food Cart Tour and let the experts show you some of the best treats. The Portlanders will tell you a trip to Portland isn’t complete without a donut from Voodoo Donuts. This institution has been keeping everyone sugary sweet since 2003 with their unusual donuts in different shapes, flavours and sizes. The bacon and maple syrup glaze donut and the voodoo doll filled with bloody strawberry jam are two must-try. They even have bacon and maple flavoured beer. 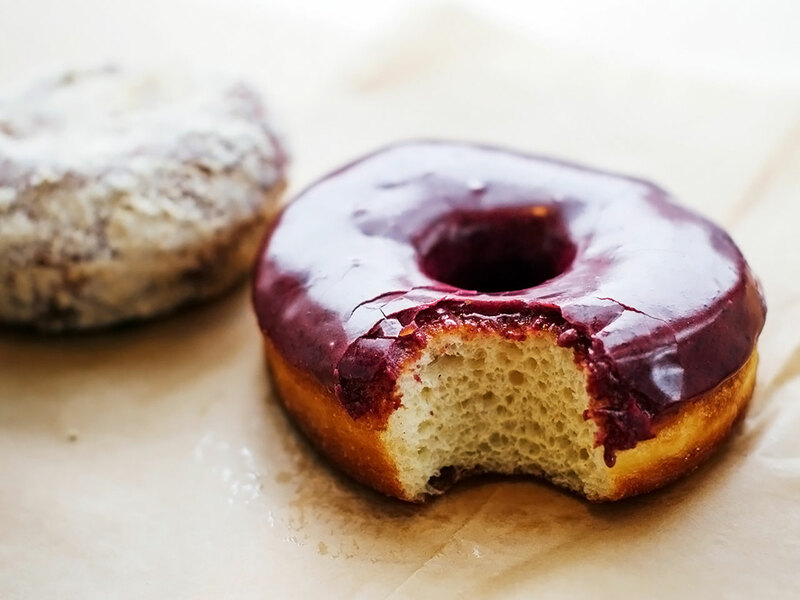 Personally, I prefer donuts that are less sweet and more artisan like those you’ll find at Blue Star Donuts. They pride themselves with quality over quantity, using the best ingredients possible. The donut itself is so soft it’s like biting into a pillow of air. Trust me, you simply won’t stop at just one. You’d be mistaken if you thought a biscuit in North America was a crumbly sweet cookie that you dunk in a cup of tea. Biscuits are more akin to scones, the round buttermilk bread dough is light and airy with flakey layers. Instead of clotted cream and jam, biscuits are usually served with protein-like fried chicken then doused in savoury mushroom gravy. Pine State Biscuits first started serving their mean biscuits and fried chicken at the Portland Farmers Market and now there are three stores across Portland where you can get your biscuit fix. Another iconic attraction is Huber’s Café, housed inside the Historic Oregon Pioneer Building. Established in 1879, Huber’s is the oldest restaurant in Portland and is still serving the traditional turkey dinner just like the old days. But the must try here is their famous signature Spanish Coffee prepared tableside with great flair. Make sure you have the camera ready to capture all the action! One of the hottest restaurants in Portland that everyone raves about is Pok Pok. Award winning chef Andy Ricker set up this Thai restaurant, introducing the authentic flavours of Southeast Asian cuisines to this part of the world. I enjoyed a beautiful dinner grazing on sensational dishes with familiar flavours, in particular their signature Vietnamese fish sauce chicken wings are lip-smackingly delicious. They also have an extensive cocktail list that is both quirky and delicious. Vietnamese coffee, grown up style (alcoholic)? This has my name written all over it! Oh Portland, you are totally weird. And definitely worth exploring.